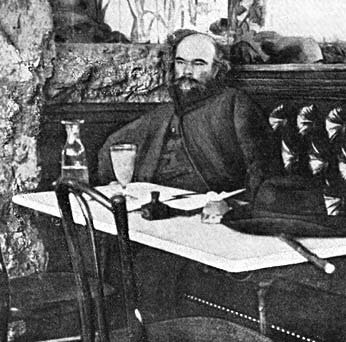 Paul Verlaine (1844-1896) is probably best known today for his destructive relationship with Arthur Rimbaud. This is a great pity, as he was a very fine poet in his own right. True, he lacked the fierce genius of the younger man, but he was still one of the more interesting poets of the Decadent movement. The turbulent years he spent with Rimbaud, while they nearly destroyed him, produced some of his greatest literature. It is only in recent years that his most remarkable (read: most purple) works have been published. This is one of my favourites. Without false covers – no need – and without awakenings. In my ravished and trembling body. And prostrate him, infinite in that tack. Am I happy? Totus in benigno positus!